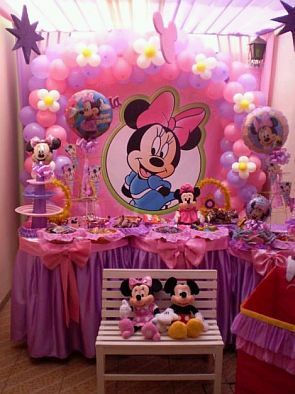 One of the most beloved characters of yesterday, today and forever, is the sweet Minnie Mouse, this is undoubtedly one of the favorite of girls of all ages, and this is a good reason you decide to decorate birthday party for your daughter, with Mickey Mouse's girlfriend. 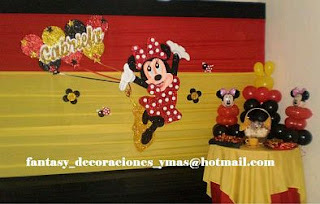 Here are some ideas that can help you achieve a memorable decoration. 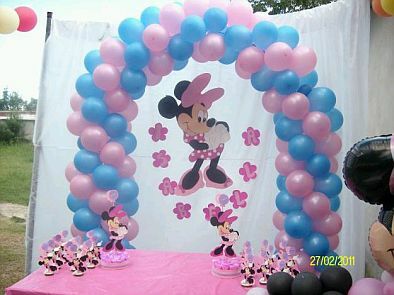 If you want something simple and not very ornate, just a balloon arch in the middle and the image of Minnie Mouse. 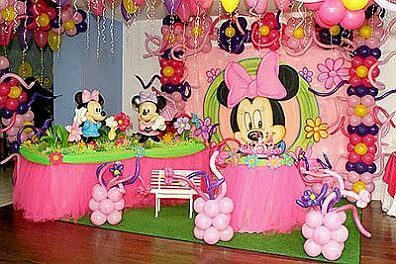 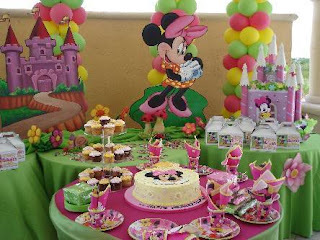 But if you want something more impressive, this is a good idea, the giant poster or panel with the figure of Minnie Mouse, as background decoration and flowers in front of a frame made of balloons, the ceiling is also decorated with colorful balloons and ribbons, and tables are seen Mickey and Minnie dolls. 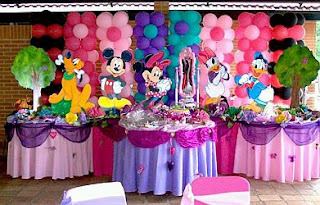 Colorful proposal made based on columns of multicolored balloons and characters of the series, in this case with all of the Minnie friends. 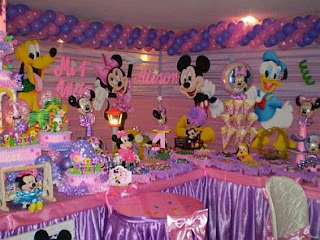 Precious proposal made with balloons and flowers, making framework for image Minnie, and the decor is complemented with metallic balloons and other decorations hanging from the ceiling. If you want to go for something more traditional, using fabrics and balloons with the image of Minnie and friends ahead, gives very good results. 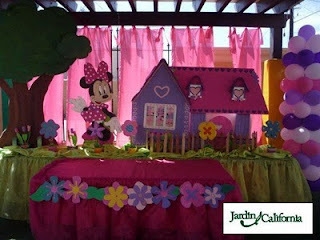 Beautiful proposal that recreates a park with Minnie and her house in the garden. 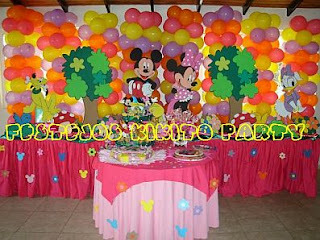 Decoration simple but very nice, just columns with multicolor balloons and some castles, of course, Minnie Mouse as the main character. Beautiful decoration that has Minnie Mouse and friends, as characters of decoration, behind a wall of balloons and flowers made before well-dressed tables with figures above. Interesting decor with fabric panels and decorations with balloons, highlights the figure of Minnie holding the name of the owner of the party. 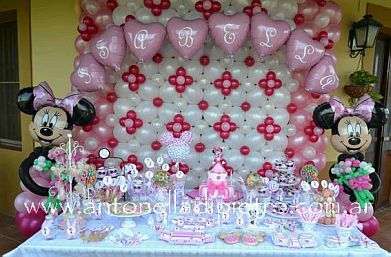 Finally just keep it soft and pink tones, this decoration with balloons that are normally used in a birthday party and metallic balloons, is ideal.